Goodwin Mill & Cabinet puts craftsmanship first! At Goodwin Mill & Cabinet you'll find the cabinets are custom designed and constructed in house. Your cabinets are built to fit your space. You'll discover cabinets that are strong and durable. With your personal care and attention they will last a lifetime. You get the best value from a product you don't have to replace or repair. Goodwin Mill & Cabinet is a family owned and operated company with a reputation for quality. You get 67 years of experience working to create your dream kitchen or bath. 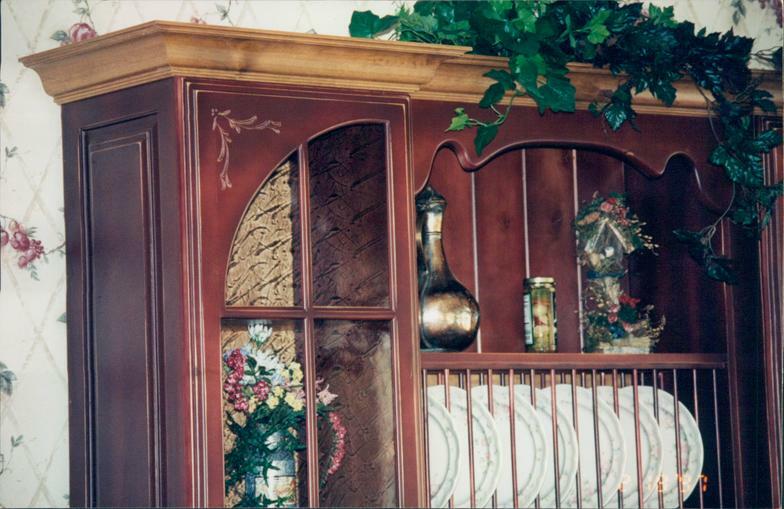 You'll find cabinets built with unique styles and finishes. You can have woodwork that reflects your taste exactly. Goodwin Mill & Cabinet have been nationally recognized by Cabinet Maker Magazine as "Setting the Standard of Excellence and Design". You'll find exciting new designs other cabinet makers copy, but you get it here first. The cabinetry at Goodwin Mill & Cabinet is the result of Skill, Pride and Tradition. Your project is built by cabinet makers who actually care about your project as much as you do. Goodwin Mill & Cabinet is the right choice for you! You work with a designer to create the final layout, finish, style and wood species. You see them built to fit your space. You also know you're getting the best quality in Southern Utah. Your home is your biggest investment. Avoid the pitfalls of inferior cabinetry that won't last. You gain peace of mind when you know your cabinets meet high standards and you get exactly what you ask for. You're part of the action when you sit with a designer and go through a simple planning process. You choose from a wide variety of finishes and styles to create the look you want. You can have anything from Old World and Traditional styles, to Country, Art Deco or even Southwest! You really are in control! At Goodwin Mill & Cabinet, LC., you will discover what craftsmanship means. As a part of the creative process you experience the joy of seeing your ideas come to life. The final product is a result of your decisions giving you the right to tell the world, "I created my kitchen!!" Call today to set up your appointment with a partner who brings craftsmanship to your creativity. TRY OUR NEW CABINET DESIGN SERVICE!!!!!! CLICK HERE FOR MORE INFORMATION!! !